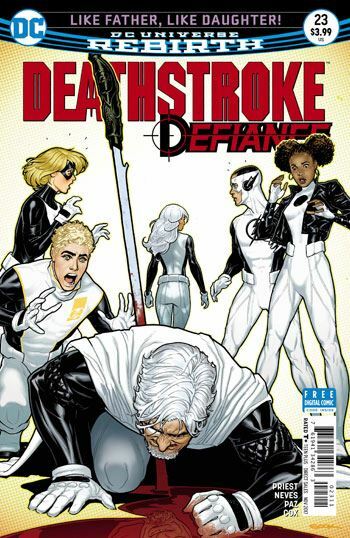 Defiance, Deathstroke’s team tackle a pirate ship as part of a routine operation. 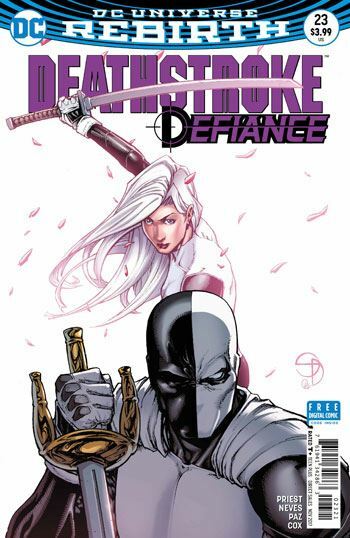 In a previous training session, Rose, the second Ravager was able to hurt Deathstroke with her sword. Is the sword from the present, the past, or the future? And who is this ninja chasing another woman for the same artifact? I enjoyed Diogenes Neves’ work a lot. It follows what has been done in this series previously but adds a few more angles and edges to the mix. The inking by Jason Paz was also filling and strong. The art was pleasing this issue.